Now footloose and fancy free, or at least self-employed and unencumbered, Koushik "Koush" Dutta is expanding his popular AllCast streaming app to Amazon's new Fire TV set-top box. Unlike the Chromecast, Xbox, Roku, Apple TV, and various other gadgets with relatively open streaming profiles, the Fire TV needs a separate app to receive content from your phone or tablet. Just install AllCast on both and you should be good to go for local video and audio streaming. The Fire TV component of AllCast is free, as is the basic demo Android app, but you'll need to pay five bucks for the premium version to get access to unlimited streaming. 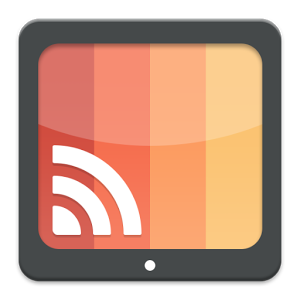 According to Dutta's Google+ post, the Fire TV receiver app also includes a screen mirroring feature which is currently in beta. The remotely-viewed screen looks pretty good, with streaming audio supported as well, though it's not quite quick enough for animation-heavy gaming. The screen mirroring functionality is especially compelling. If the quality can be boosted beyond the level shown in the beta release, it could be a way to get games that are only available in the Play Store to display on the Fire TV, to say nothing of more general Android apps and media.